Everyone! 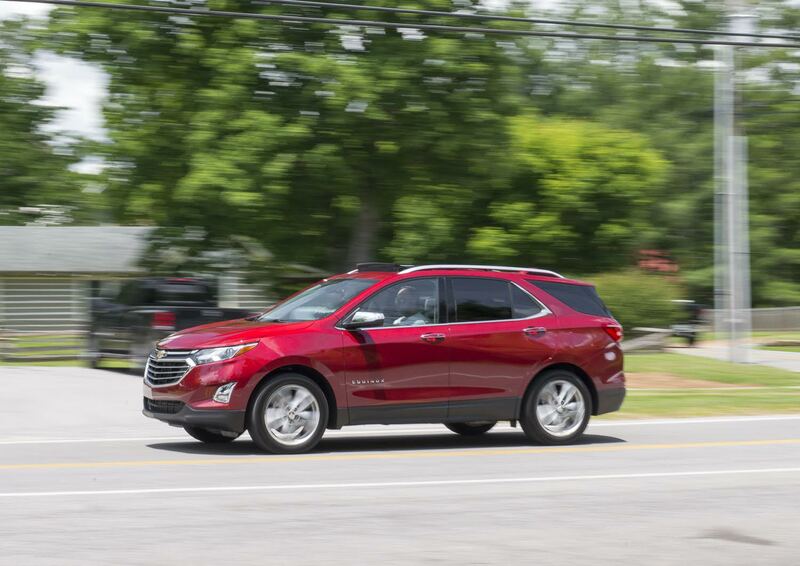 There’s a new Chevrolet Equinox out on the market! – snooze. Who cares? 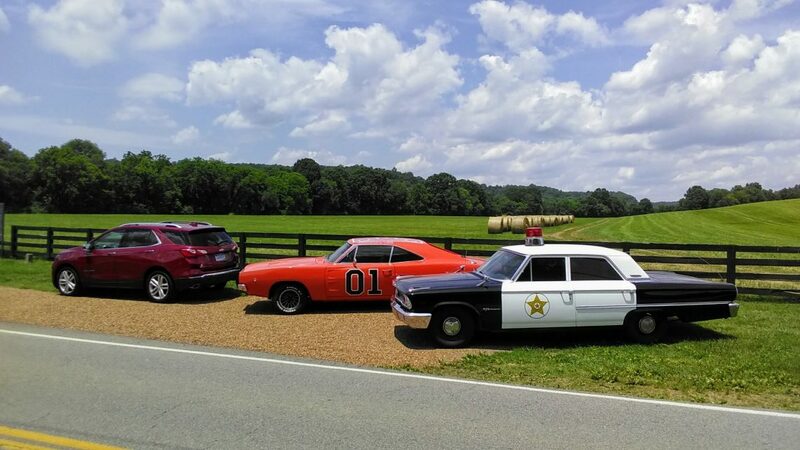 No offense GM, but most of the readers on this blog are automotive enthusiasts, which means they want to read about Corvettes or Camaros, not a five-seater crossover. Fine, those same readers will eventually have the dreaded conversation with their significant other one day or another: “honey, we need a larger car for the baby”, so chances are a crossover will end up in their driveway, and it will most certainly be a compact one. And there’s no hiding the fact that it’s an extremely aggressive segment right now. The Honda CR-V and Toyota RAV4 are absolutely dominating the industry, and the Koreans have a one-two hit combo in their arsenal called Hyundai Tucson and Kia Sportage. So how does Chevrolet respond to that? By cramming its new trucklet with what all modern families now expect to get from this kind of vehicle: absolutely everything. I’ll be doing a thorough review of the 2018 Equinox later this summer, where I’ll spend more time with the vehicle to analyze it in detail and tell you why it offers precisely everything consumers want. For now, I’ll focus on this all-new 2.0-liter, turbo powerplant, which should be available in dealerships as you’re reading this. Launched in April of this year with a 1.5-liter, 170-hp turbo four as the base powertrain option, Chevrolet now expands the Equinox lineup with the arrival of two new engines; the Malibu‘s 2.0-liter turbo, and later this summer, a 1.6-liter diesel will join the party. For the record, I respect Chevrolet for having the balls to release a diesel engine right after Volkswagen’s Dieselgate scandal. Chevrolet Canada flew me over to Nashville, Tennessee for a first contact with the 2018 Equinox 2.0-liter turbo, along with other automotive journalists and lifestyle bloggers during the CMA fest, a massive, 60,000-people country festival; Bonnaroo, another music and arts festival, and the Nashville Predator’s Stanley Cup playoff hockey game against the Pittsburg Penguins. Yes, Nashville was the place to be during the time I was there. During my escapade, I had a chance to spend some seat time with the Equinox and its new, larger engine, in which I drove across the beautiful Tennessee countryside, complete with rolling hills, farmland, blazing summer heat, some friendly locals and even a kickass castle recording studio where Al Capone and his mobsters used to play poker. The place is now strictly reserved for music recording purposes, where legendary artists such as Johnny Cash and even Snoop Dog spent some time to record some songs. Way cool. So, the 2018 Chevrolet Equinox. What you need to know is that it’s an all-new vehicle from the ground up, and built on Chevrolet’s fresh-out-of-the-oven D2 platform, which Chevrolet engineers have solidified, stiffened and considerably lightened by a whole 400 lb over the previous model thanks to the clever use of high-strength steel at key locations around the vehicle. The end result is significantly higher torsional rigidity than before, and a considerably tidier package overall. In fact, the 2018 Equinox’s wheelbase is a whole 132 mm shorter than its predecessor and total length is shrunken by 119 mm. Chevrolet says interior cargo room has been increased, I’ll confirm this information in my full review of the thing. And although the new redesign is handsome with clean lines and short front and rear overhangs, it leans more towards the conservative side, sort of bland looking be totally honest. 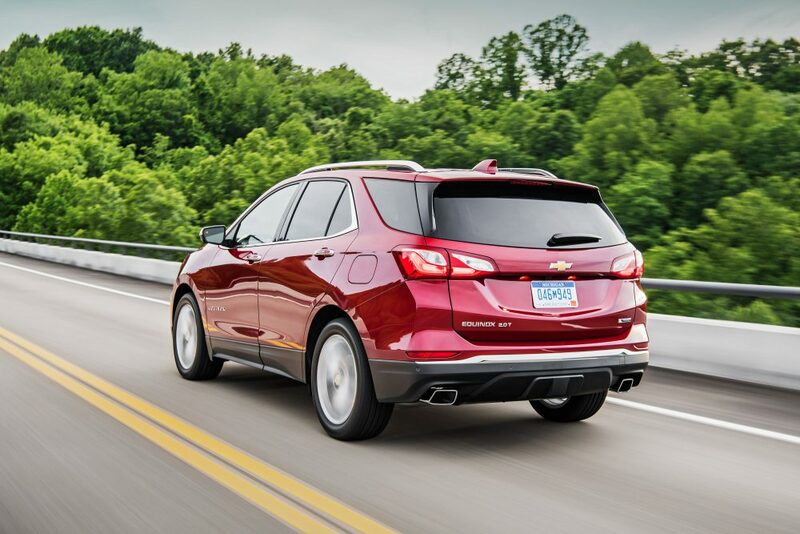 Power from that new 2.0-liter turbo is rated at 252-horsepower and 260 lb-ft of torque, giving this crossover a performance edge over the Honda CR-V and the Toyota Rav4. That power is routed through an all new and frankly cleverly-engineered nine-speed automatic gearbox Chevrolet calls Hydra-Matic 9T50. It was designed to be as compact as possible while offering a maximum range of available ratios for improved fuel economy and smoother power delivery. And no, this isn’t a ZF-sourced transmission like what most of the industry is leaning towards, but General Motors’ own design. There’s a catch however: that gearbox was developed in partnership with Ford. 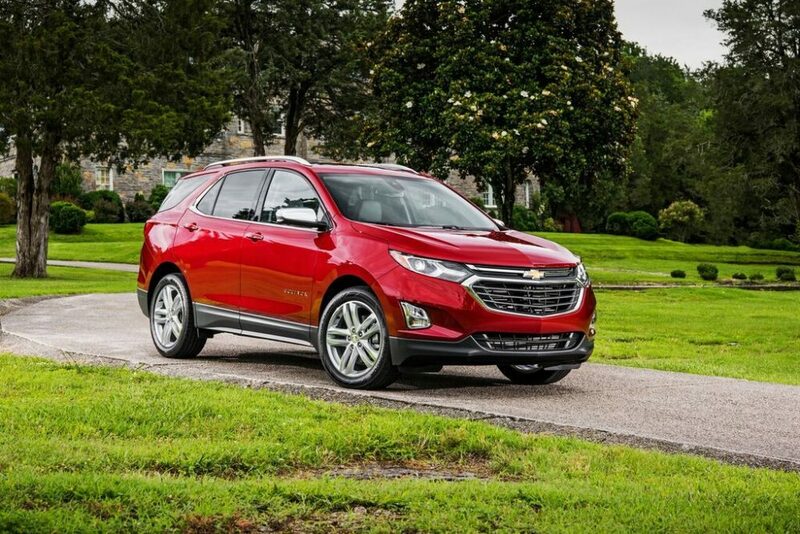 Chevrolet claims a 0-100 km/h acceleration time of 6.3 seconds for the 2018 Equinox, as long as it’s powered by the larger motor, making it one of the quickest compact crossovers straight-out of the box. 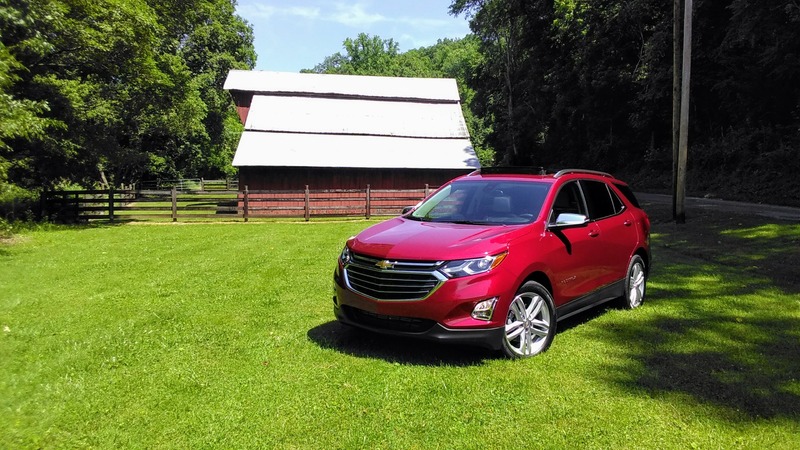 During my drive throughout Tennessee’s rolling hills, pastures and farmland, the Equinox proved to be a rather compliant little runabout, with a superbly damped ride through the bends and an ability to carry speed effortlessly without too much drama. The new chassis reacts well to road imperfections, soaking up bumps with minimal quiver, and body roll was kept low, considering the type of vertically challenged vehicle this is. The new turbo engine, like in the Malibu, offers pleasant midrange punch, allowing for decent acceleration and easy overtakes when required. The nine-speed gearbox shifts smoothly, with a secretive shift action that could fool some consumers into believing it’s a CVT. Unfortunately when driven hard, that gearbox downshifts frantically to the lower gears, revealing a somewhat unrefined buzzing noise coming from that turbo four. 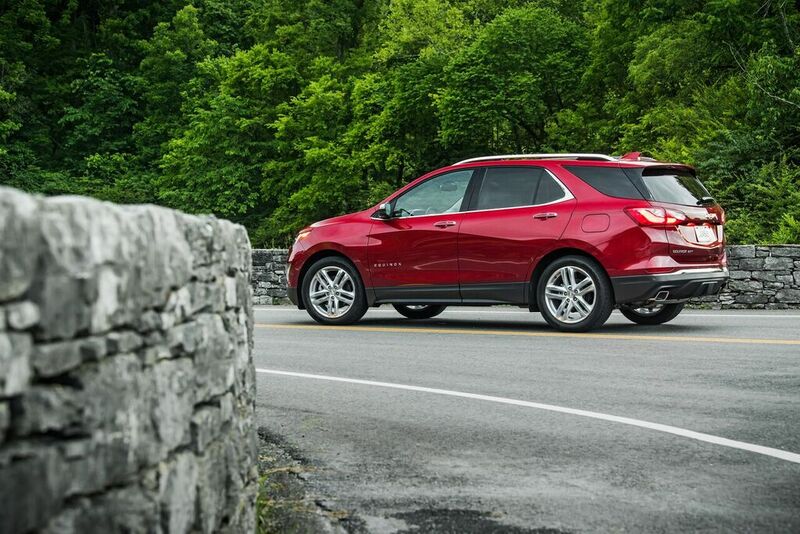 It isn’t the most enjoyable sounding engine out there, so it’s best you remain light-footed with your Chevy crossover. 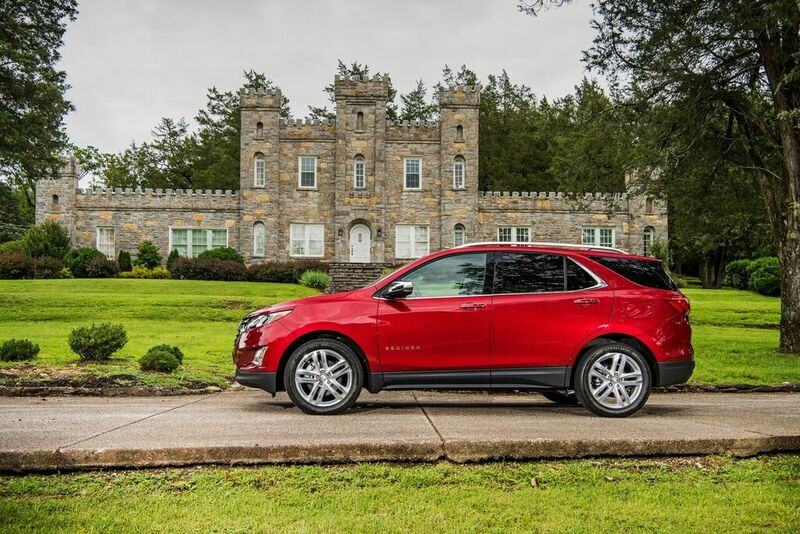 But as a first contact, I must say I was pleasantly impressed with the 2018 Chevrolet Equinox as a whole. It doesn’t go out of its way to punch above its weight, but rather provides consumers precisely what they desire in this sort of vehicle. It’s a conservative move, and I do believe this is what will allow it to sell well. And from the looks of its packaging, its evident Chevrolet has set its crosshairs set on one competitor in particular: the Honda CR-V. I’d say the Equinox is off to a good start and it’s safe to say Chevrolet finally gets the small crossover right. Stay tuned for my full review coming soon to find out if this Chevrolet deserves its spot among the best mall finders currently available.